evilBay.com » Blog Archive » Too Happy? 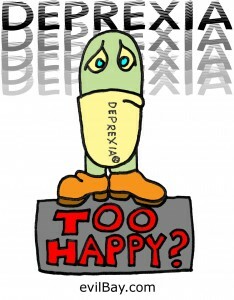 Try Deprexia. 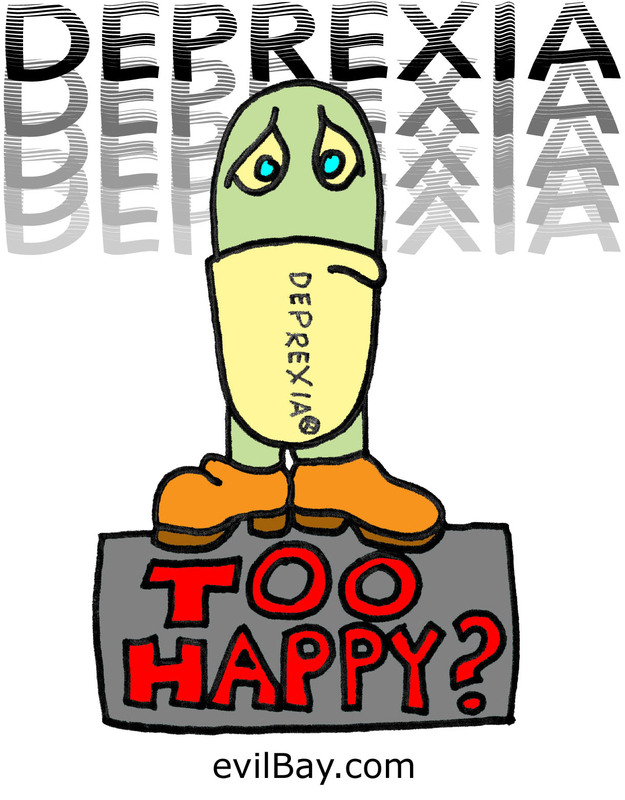 This entry was posted	on Monday, June 28th, 2010 at 6:52 PM	and is filed under comic book, computer art, doom and gloom, pen and ink. You can follow any responses to this entry through the RSS 2.0 feed. Both comments and pings are currently closed.